National Park Day in Costa Rica! Why pay when you can enter FREE! Did you know that August 24th is National Park Day in Costa Rica? Just another great reason to celebrate the beauty that surrounds us in this small Central American country, known as the land of Pura Vida! Parks will be offering free entrance to all visitors, and many Costa Rica hotels hold special tree planting ceremonies, as well as area restaurants often feature special dishes on their menus commemorating this important occasion, by focusing on all that is green and the abundance of natural ingredients that can be found throughout the country. School children take the day from school to learn more about protecting Costa Rica’s natural resources, and national flags, as well as the special Blue Flags representing ecologically awarded beaches and areas, fly proudly. After all, without the parks, where would Costa Rica be on the World’s sustainable tourism totem pole? A National Park in Costa Rica is defined as a protected area that has been legally declared a National Treasure in order to protect and conserve the biodiversity it contains. These areas generally include diverse eco-systems deemed to be of National significance, generally showing minimal evidence of human impact, while offering important attractions for National and International visitors, as well as learning centers for some of the best scientists in their fields. In 1888, with the founding of the National Weather Service (now referred to as the National Weather Institute), a century long genesis began of multiple governmental departments culminating in at least a dozen name changes over the years. 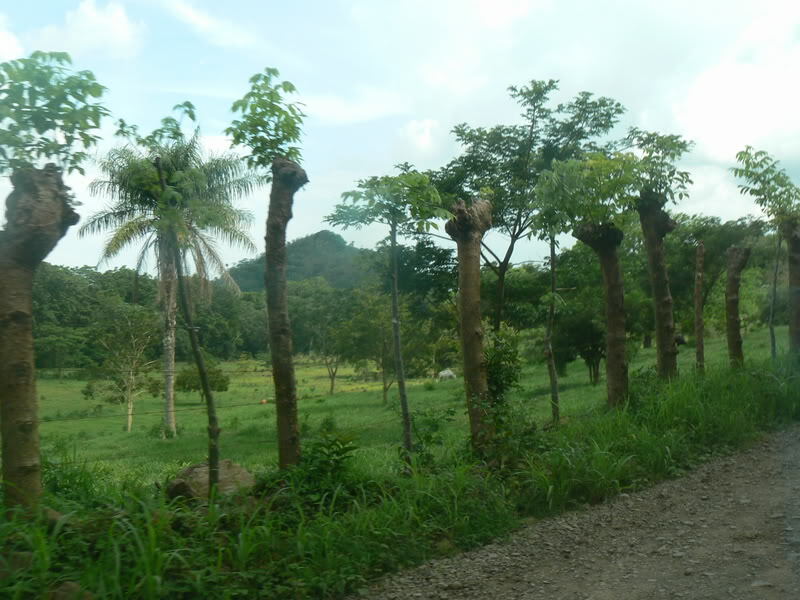 Duties of protecting the natural resources of Costa Rica gradually expanded to include many diverse functions including specializations in water, hydrocarbons, gender, environmental education, citizen participation, biodiversity, wetlands, climate change, joint implementation, conservation, rational use of energy, environmental quality compliance, as well as the continued control of existing natural resources as previously mentioned. Eventually the morphing entities formed the current government segment referred to as the Ministry of Environment, Energy and Telecommunications, better known in Costa Rica as MINAET. 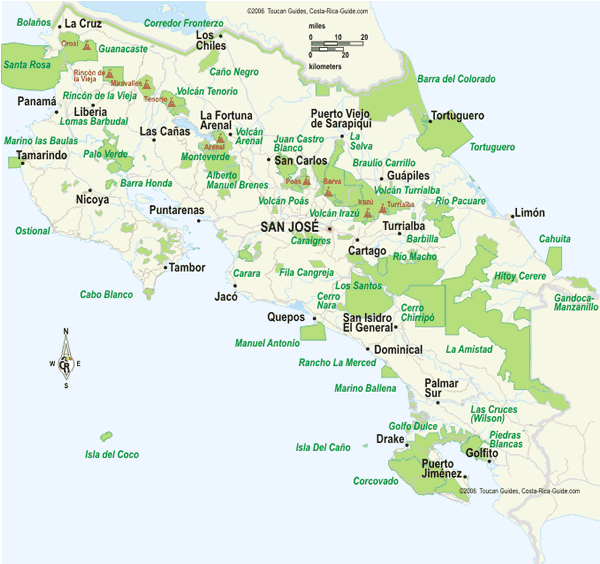 Costa Rica’s system of Protected Areas consists of an impressive 9 different categories: 1) National Parks 2) Biological Reserves 3) Natural Reserves 4) National Monuments 5) Protected Zones 6) Forest Reserves 7) Wildlife Refuges 8) Wetlands & 9) Indigenous Territories. These wildlife and rainforest areas have been declared as such due to their unique eco-systems, the existence of endangered species and for their significant historical and cultural value as well. The total of these diverse 169 Protected Areas equals approximately 26% of Costa Rica’s territory, protecting an amazing 5% of the World’s biodiversity! This sacrifice of often some of the most valuable land is an incredible example of this country’s dedication to protecting the environment not only within its borders, but the entire continent, since Costa Rica serves as a land bridge between South and North America. There are an impressive 28 National Parks in Costa Rica, with each park having its own unique features, making every and every one of them worth an in-depth visit. An excellent example is perhaps one of the most famous Costa Rican parks, Isla del Coco, an internationally recognized treasure. Located approximately 340 miles off the Pacific Coast of Costa Rica on an uninhabited island (except for the Park Guard Station), this island has been declared a World Heritage Site, included on the List of “Wetlands of International Importance”, as well as nominated for the short list of 7 New Wonders of Nature, by the 7 Wonders of the World organization. Declared a National Park in 1978, Isla del Coco alone has identified some 235 plant species, 400 insect species (65 endemic), 100 bird species (13 resident, 3 endemic and multiple endangered). Its protected marine territory is home to a wide range of species of Shark, parrot fish, manta rays, among numerous other marine species. This particular park is considered one of the richest diving spots in the World, as declared by the famous Jacques Cousteau. Please see the list below, for an extensive list of Costa Rica’s National Parks, as to detail each one would be too long for one blog post. The protected areas of Costa Rica generate extensive economic resources to support its dynamic eco-systems, as well as building centers for further ecological studies, stimulating scientific investigation to learn the proper handling of these delicate zones. Over the last 20 plus years, these Protected Areas have brought in some $1.92 billion dollars per year by promoting sustainable tourism to this country, meaning Costa Rica stands as the most visited nation in the Central American. Tourism now earns more foreign exchange than bananas and coffee combined, a previously unthought of statistic from this coffee and banana republic. Commerce, tourism and associated services now contribute some 68% of the country’s GDP and represent more than 13.3% of direct and indirect employment. Not only have the National Parks served as a major economic factor for this developing country, but these important areas continue to serve as healthy and natural alternatives of entertainment, bringing a better quality of life to its citizens, as well as everyone that comes in contact with their unparalelled beauty. Now isn’t that reason enough to raise a cold Imperial Beer and celebrate Costa Rica’s National Parks, as well as the laidback lifestyle we all call “Pura Vida”? Author: Kimberly Barron, originally from Malibu, California has lived in Parismina and Manuel Antonio, Costa Rica for 20 years. Starting as a certified tour guide, she spent 15 years managing fishing lodges on the Caribbean Coast and later 4* & 5* Hotels on the Pacific Coast of Costa Rica. Currently semi-retired, Kimberly still works as the Marketing Director for Byblos Resort & Casino and Hotel Makanda by the Sea. Living in the rainforest in Costa Rica means being surrounded by an abundance of interesting trees. One of my personal favorites is the Gumbo Limbo tree! A wildly popular tropical tree, it is native to the southeastern United States, but found widely throughout the Americas, West Indies and especially prominent in Costa Rica. This tree easily adapts to a variety of both dry and moist habitats, and is a fairly salt-tolerant species, enabling this tree to be found along most coastlines including around the Hotels of Manuel Antonio, Costa Rica. Though consisting of a fairly soft wood, the Gumbo Limbo is considered a very wind-tolerant tree, making this species a good choice for hurricane or extreme weather areas. This fast-growing canopy tree reaches heights of 50-60 feet and more, with a trunk that bears a striking color of green and red, with a thin paper like exfoliating bark. 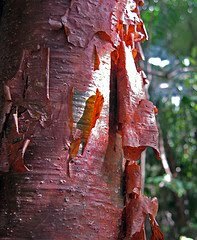 The Gumbo Limbo or Bursera Simaruba, goes by several aliases, such as the Spirit Gum, Birch Gum, Turpentine, Naked Indian, or more commonly named in popular vacation destinations…..the “Tourist Tree”, because of its red color and peeling skin! The Gumbo-limbo is generally planted for shade and ornamental use in front or backyards, can be found along streets and highways, but it is also commonly used throughout Costa Rica as a “living fence” since it easily sprouts from cut branches that are stuck into the ground. With it’s naturally rapid growth, within no time farmers have a strong, natural, eco-friendly fence with which they can corral their livestock and mark their land. The arils (or etable part surrounding the seed) provides an important source of food for winter migrating birds, including many migrants from North America, as well as local residents such as the Masked Tityra, Bright-rumped Attila, and Black-faced Grosbeak, the Baltimore Oriole, Dusky-capped Flycatcher and many species of Vireos. Additionally, Gumbo-limbo’s rapid growth, easy and low cost of propagation, and it’s ecological versatility make this species an ideal “starter” tree for reforestation projects. 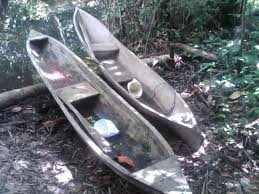 There are so many more natural benefits to this great tree, as the sticky, turpentine-scented resin has been used for centuries for making glue, varnish, liniments, as well as a water resistant coating for dugout canoes. The aromatic sap is also used as an anti-inflammatory, a treatment for gout, a form of incense, as well as the leaves are brewed to make a medicinal tea for a wide variety of ailments. 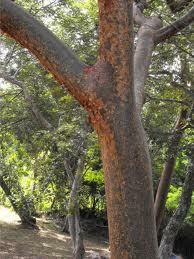 The bark is also considered a treatment against rashes caused by plants such as poison ivy and poison oak. Though the actual wood of the tree is rather soft and spongy, this versatile wood is traditionally used to manufacture the colorful carousel horses you see at county fairs, and other small wood products such as matchsticks, toothpicks, charcoal, boxes, crates, and interior trim have also been made from the Gumbo-Limbo wood. 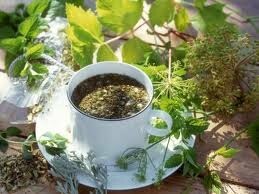 Tribal or Native Indian medicinal uses include remedies for skin infections, skin sores, ingesting a bark tea for urinary tract infections, pain, colds, flu, sun stroke, fevers and to purify the blood. A length of bark about 5 cm x 30 cm is boiled in a gallon of water for 10 minutes or so for these local remedies and then used topically or can be sipped as a tea 2-3 times per day. Not only is it touted to provide the above medicinal remedies, but it is also said to kill bacteria, stop excessive bleeding, increase urination, increase perspiration, cleanse the blood, neutralize various venoms, helpful as a cough expectorate, reducing fevers and my favorite remedy…..increasing libido!! So when out hiking, exploring, or just taking a drive around Costa Rica, no more passing that Gumbo Limbo tree and not even giving it a second thought. Just look at how much one can do and “cure” with this beautiful and unique tree! But my friends…..you have been warned!!!! None of these uses are FDA approved, so please do not try these remedies at home! At least not without a Shaman present!! Kimberly Barron, originally from Malibu, California has lived in Parismina and Manuel Antonio, Costa Rica for 20 years. Starting as a certified tour guide, she spent 15 years managing fishing lodges on the Caribbean Coast and later 4* & 5* Hotels on the Pacific Coast of Costa Rica. Currently semi-retired, Kimberly still works as the Marketing Director for Byblos Resort & Casino and Hotel Makanda by the Sea.